The Irish company at the centre of the Facebook moderation controversy was founded by a former director of Anglo Irish Bank. CPL Resources Plc chief executive Anne Heraty was a non-executive director of Anglo in the run-up to the bank guarantee in 2008. A former EY Entrepreneur of the Year, she was one of four non-executive directors who resigned from the Anglo board in January 2009, shortly after the bank was nationalised. She also stood down as a director of Forfás and Bord na Móna. Ms Heraty would later give evidence in the trial of former Anglo chairman Sean FitzPatrick and former Anglo executives Willie McAteer and Pat Whelan over illegal loans provided to a group of businessmen known as the Maple 10. Mr FitzPatrick was acquitted but McAteer and Whelan were found guilty. Ms Heraty’s association with Anglo has not damaged her standing in the business community, where she is highly regarded. She was appointed president of the country’s biggest employers’ group, Ibec, in 2016. Meanwhile, CPL, which she founded in 1989 and retains a large shareholding in, has become a highly profitable job recruitment and outsourcing firm. One of the major Irish business success stories of the past two decades, it has operations around Ireland and in the UK, Netherlands, Germany, Poland, Hungary, Slovakia, the Czech Republic, Tunisia and the US. Its latest accounts showed gross profits of €71.8m for 2017. 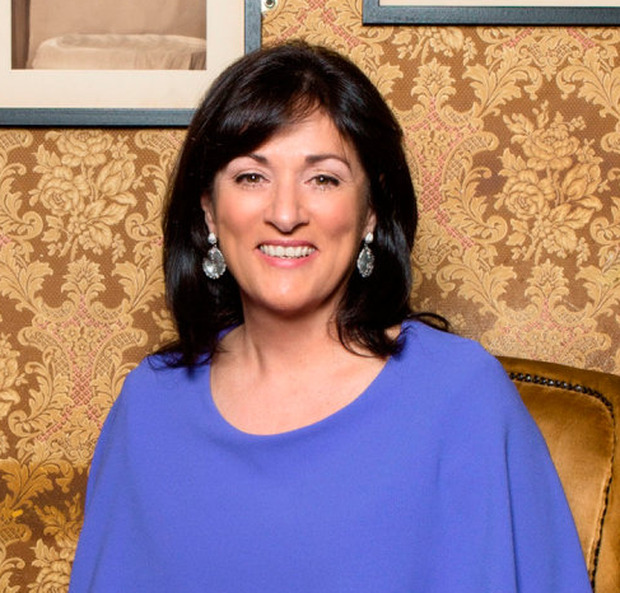 The accounts also showed that Ms Heraty earned €463,000 last year, while her husband, CPL’s business development director Paul Carroll, earned €207,000. A Channel 4 ‘Dispatches’ programme featured an undercover reporter who went to work at CPL, which acts as Facebook’s largest centre for UK content moderation. It showed training sessions and conversations in CPL’s Dublin offices where staff were instructed not to remove extreme, abusive and graphic content, even when it violated Facebook’s own guidelines. CPL has released one statement since the broadcast, saying that once it became aware of the programme it, in conjunction with Facebook, reviewed the issues raised and took immediate action to address these issues. This, it said, included refresher training conducted by Facebook personnel so as to ensure relevant employees are up-to-date with Facebook policy and its implementation. The statement also said the company valued its partnership with Facebook and would continue to work closely with the social media giant to ensure community standards are appropriately enforced.